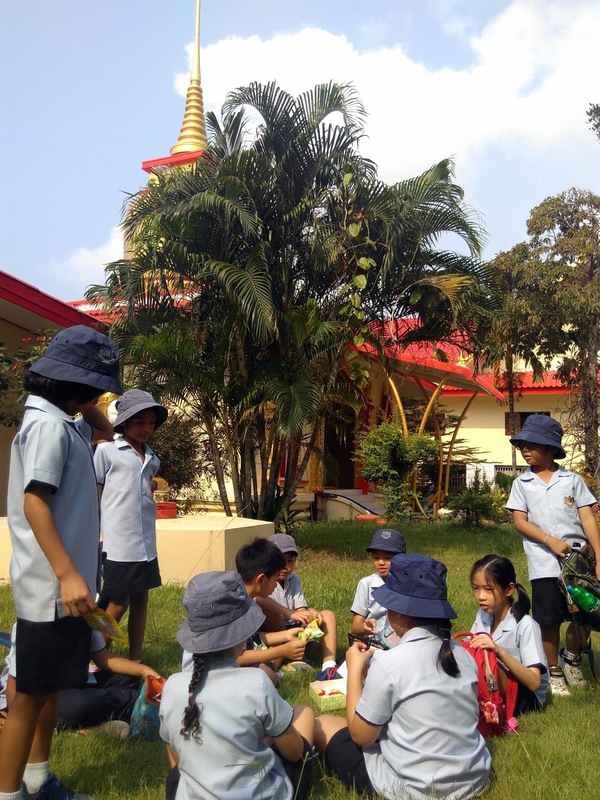 On Monday 26 March we went on a trip to Wat Ban Don to supplement our study of light and shadows. 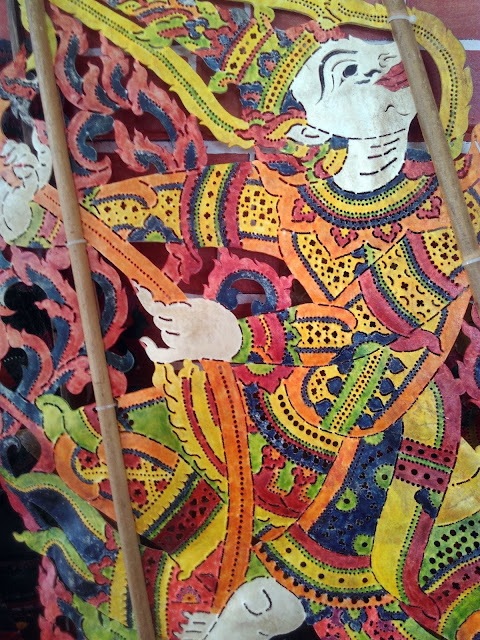 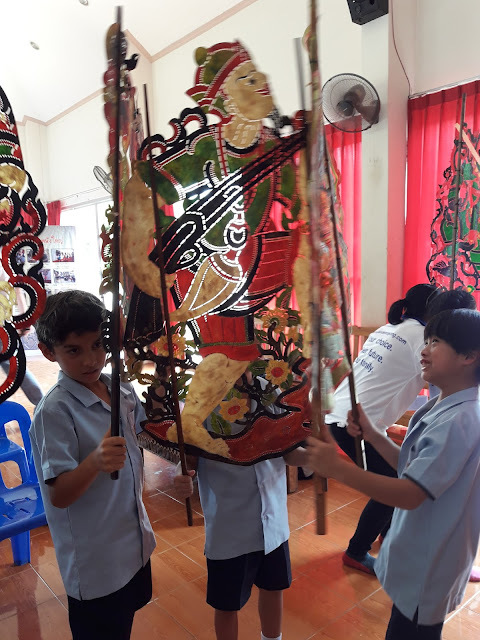 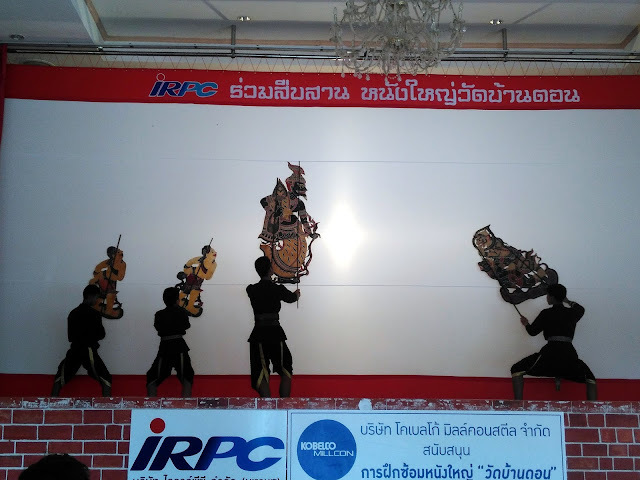 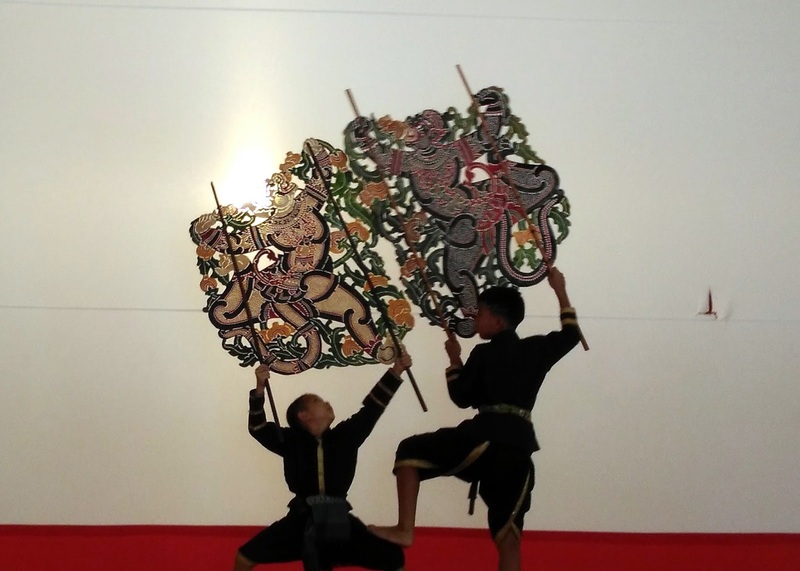 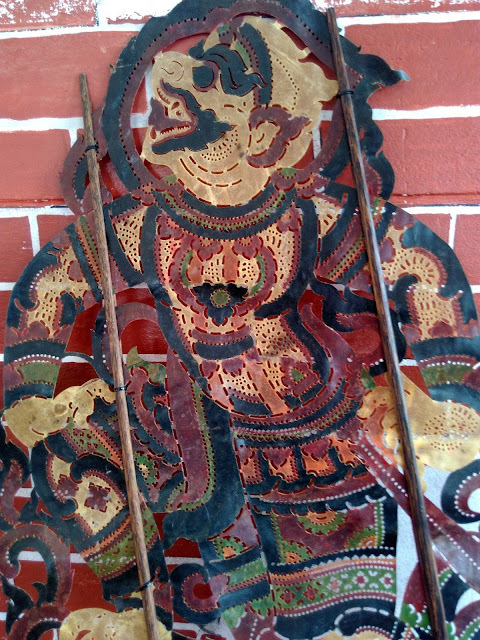 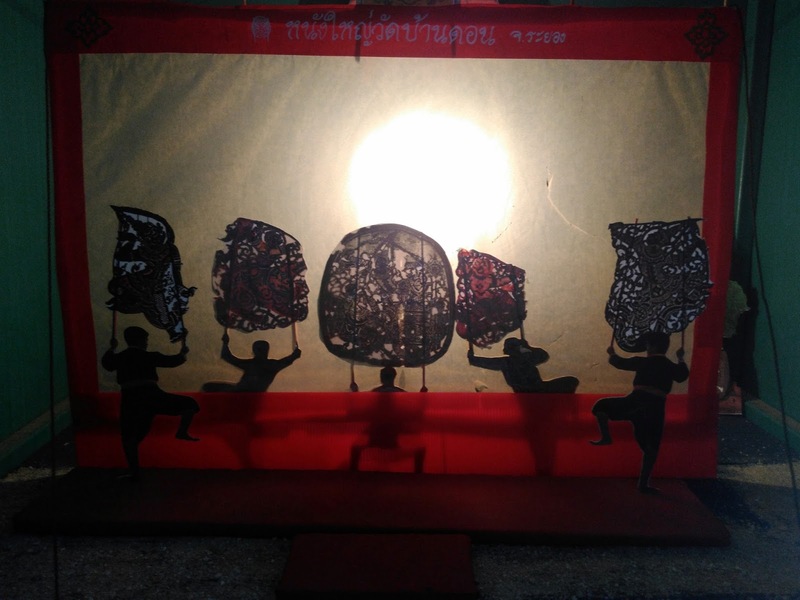 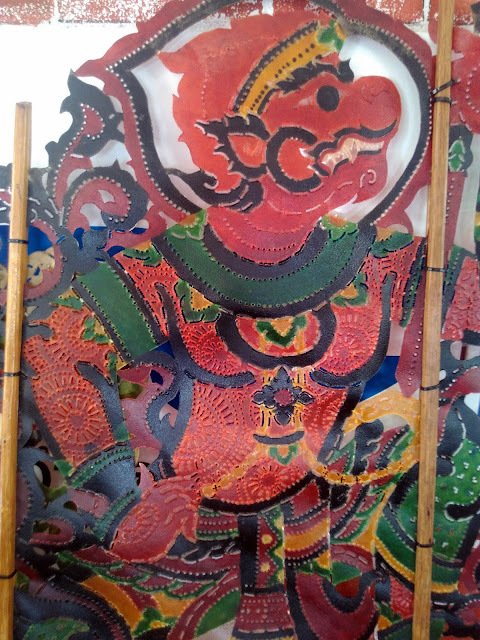 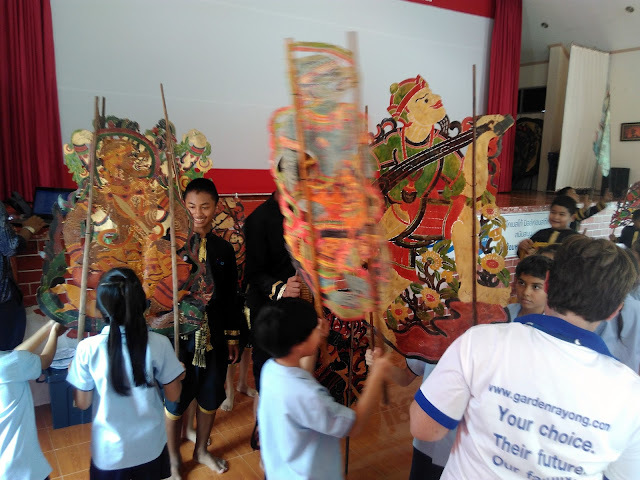 'Nang Yai' is a form of shadow puppetry that uses large pieces of leather carved and painted into different characters. Wat Ban Don is part temple, part museum, part school and part performance centre for this traditional Thai art form. 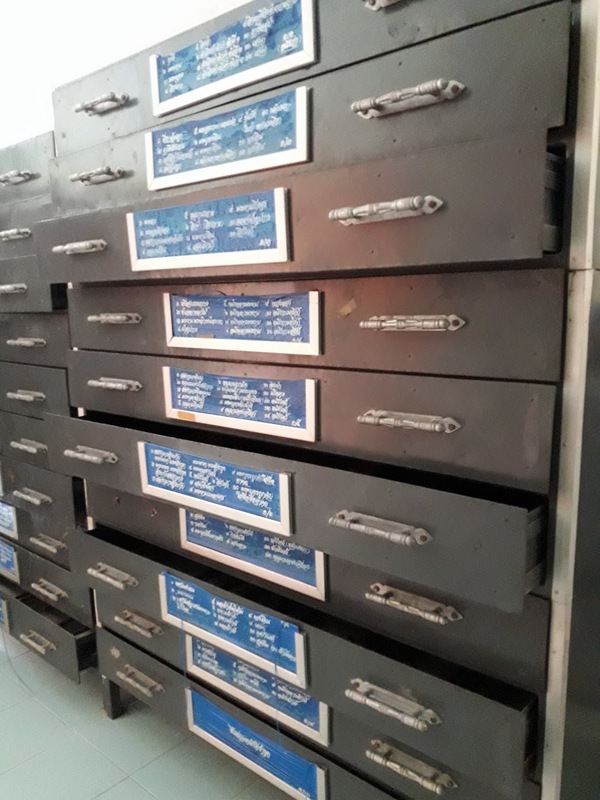 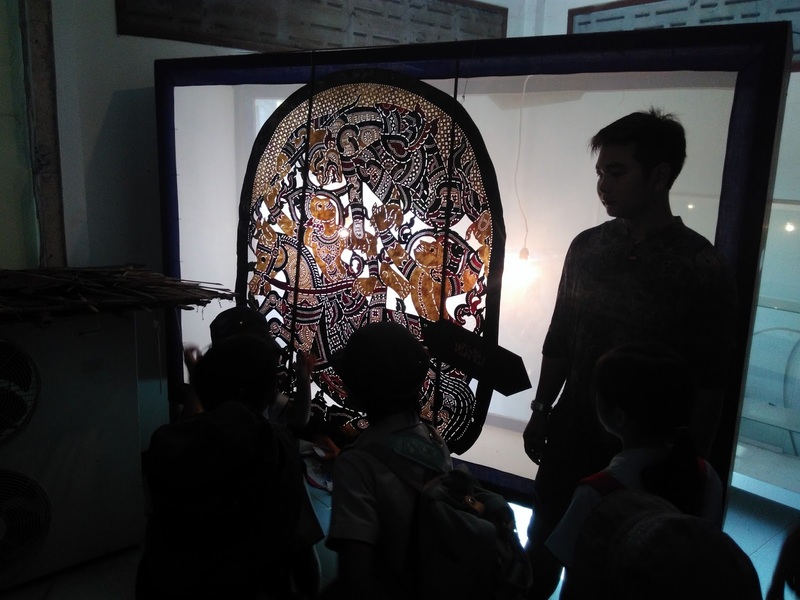 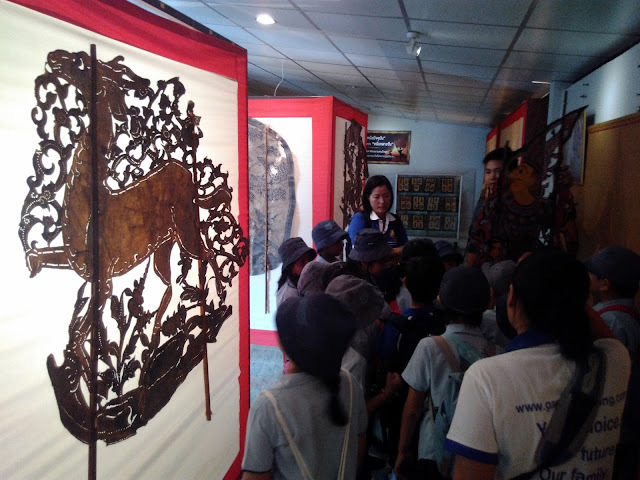 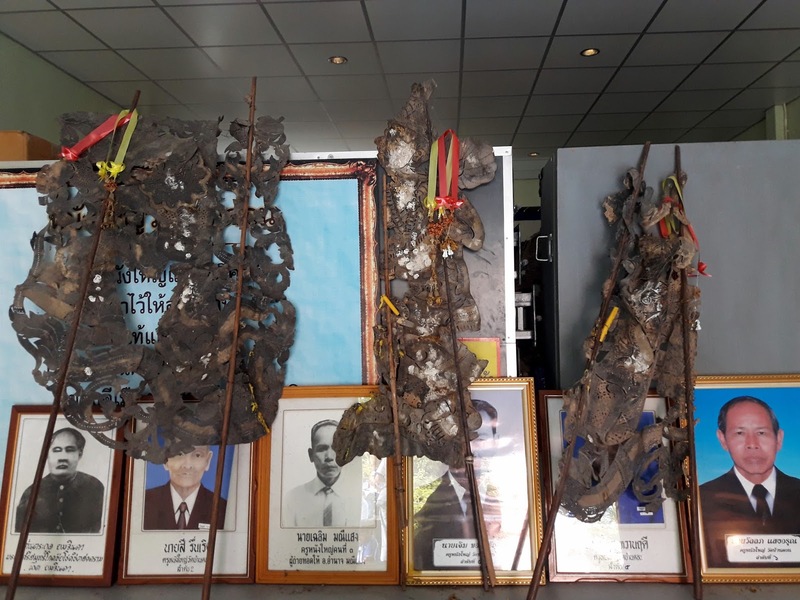 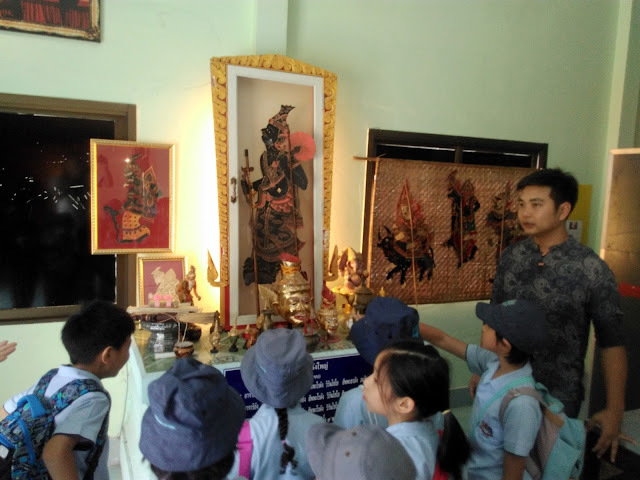 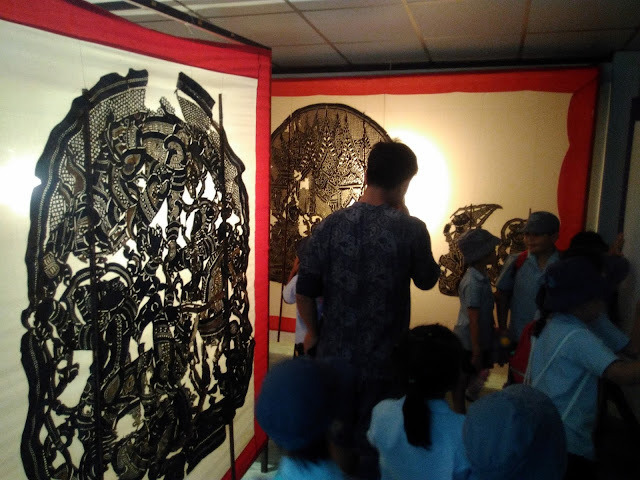 We visited the museum first, which collects and displays hundreds of traditional shadow puppets, in different sizes and characters, some of which are aged more than 200 years old! 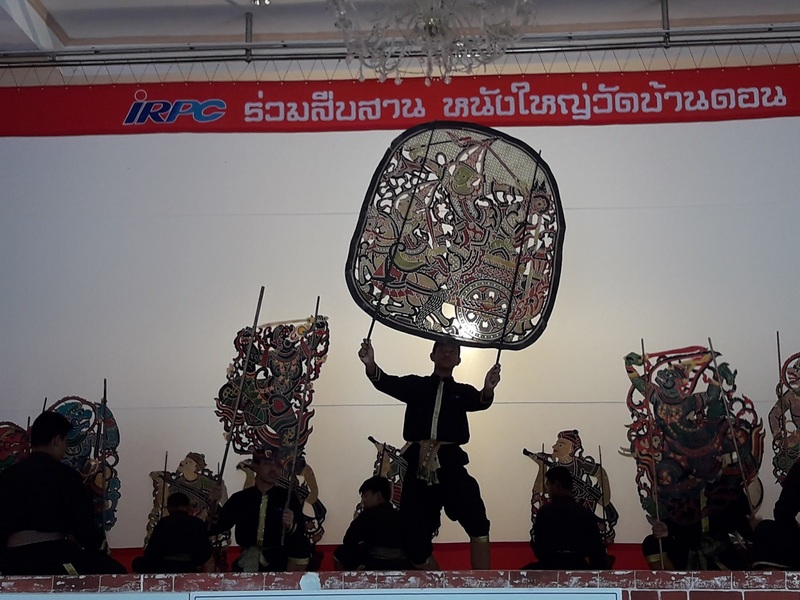 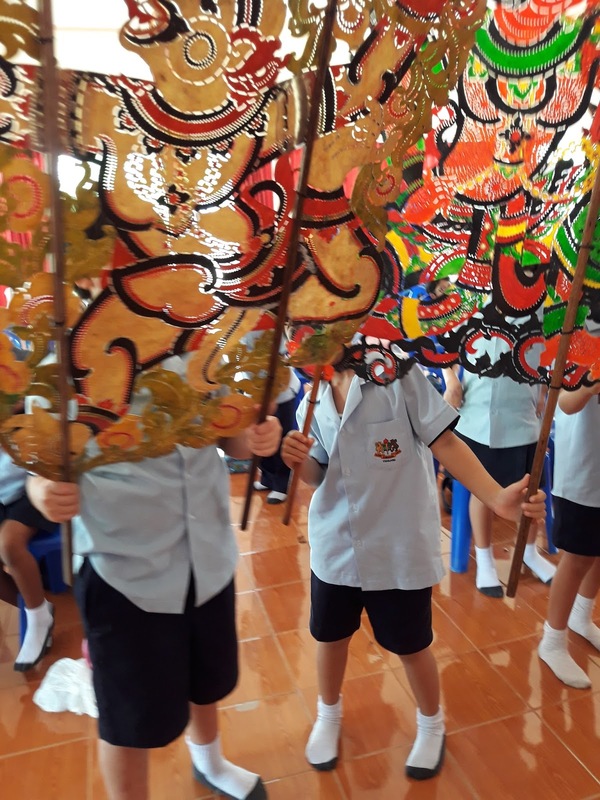 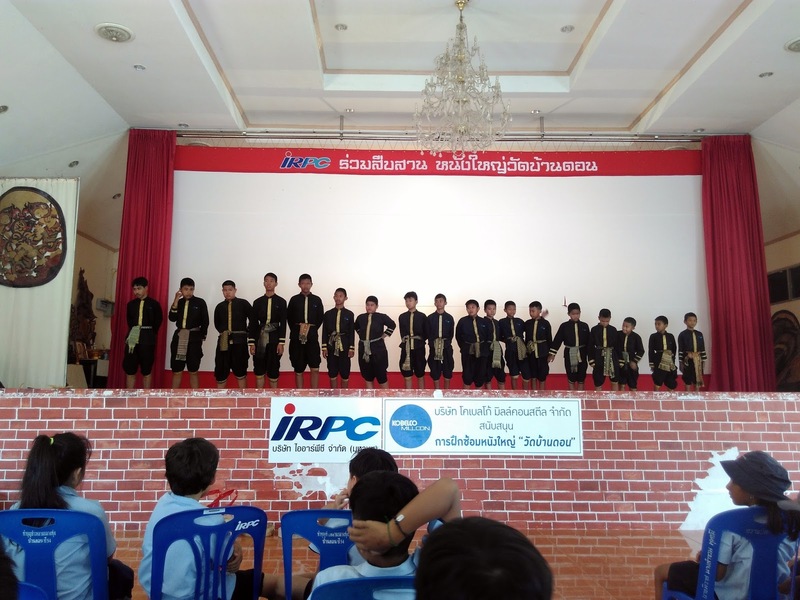 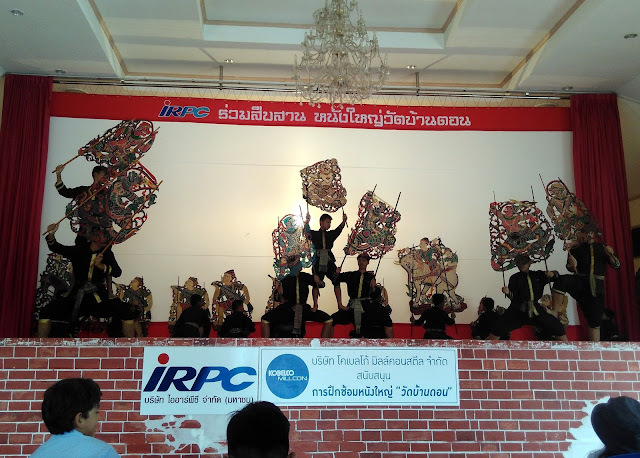 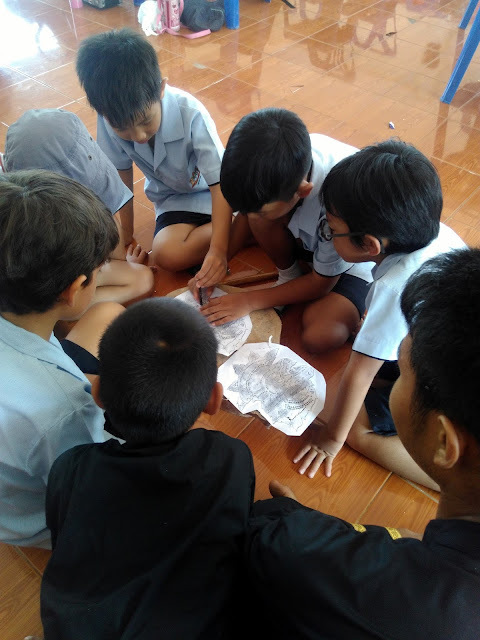 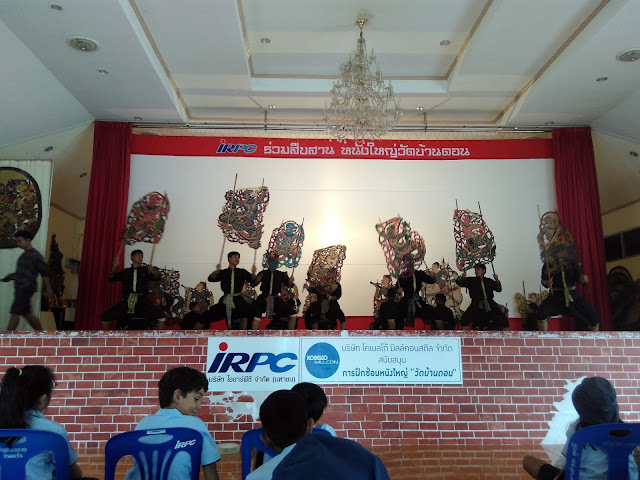 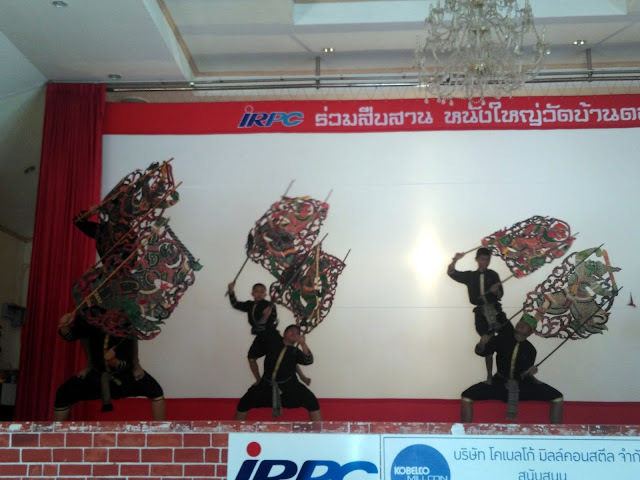 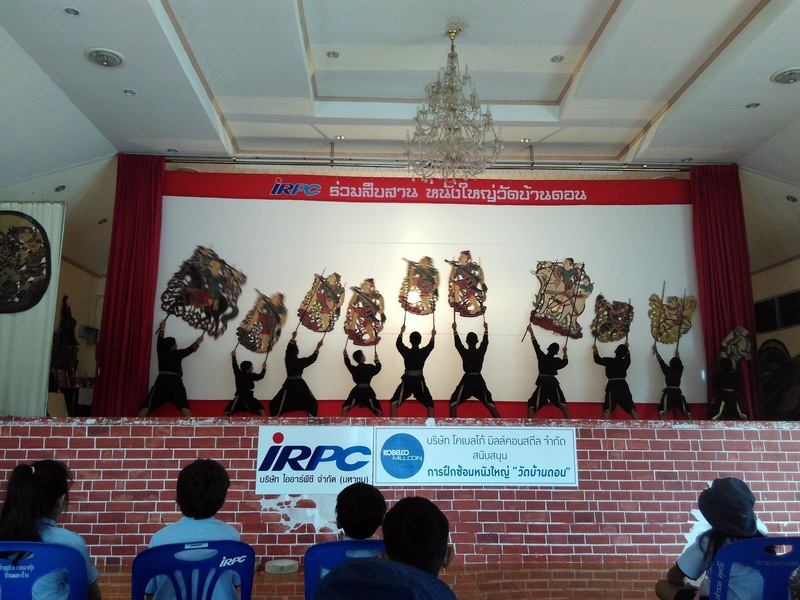 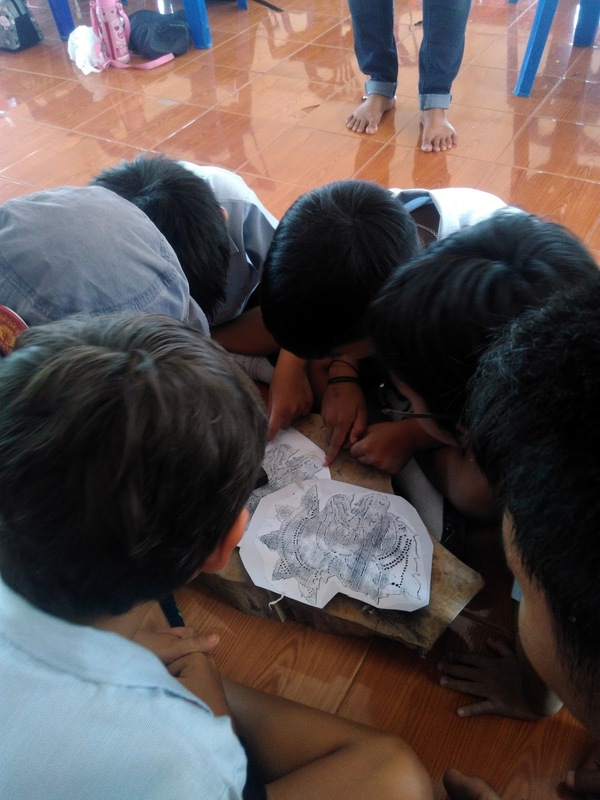 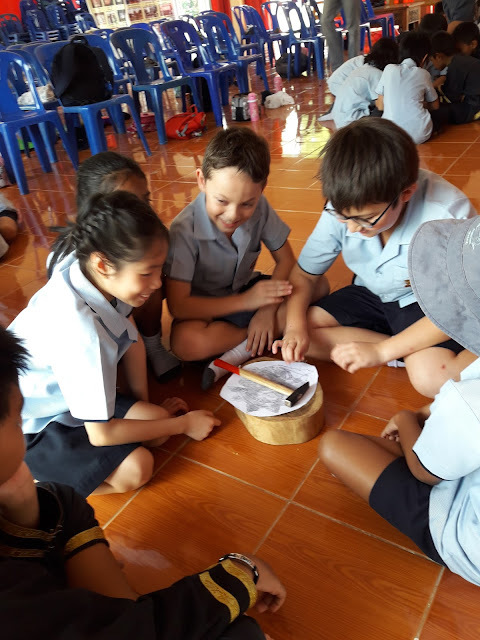 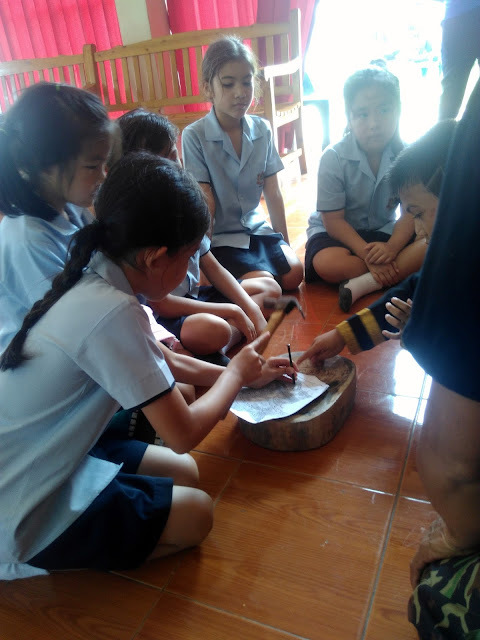 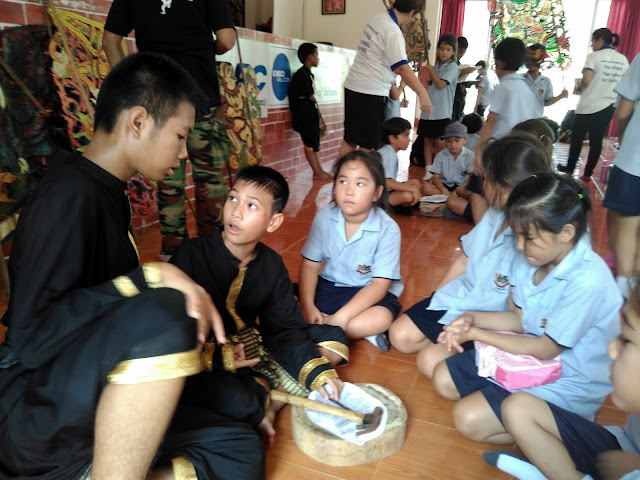 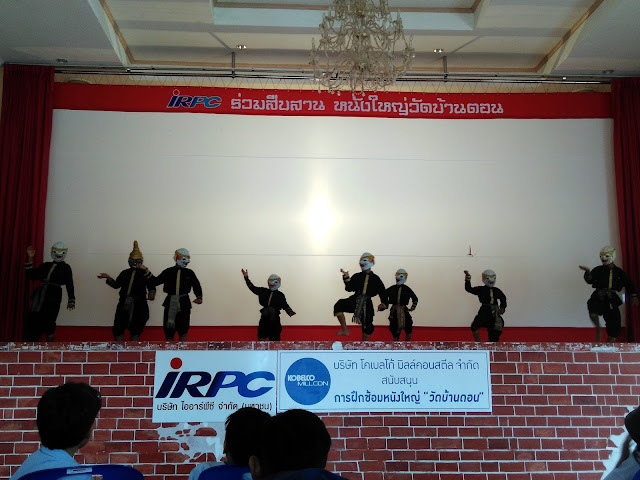 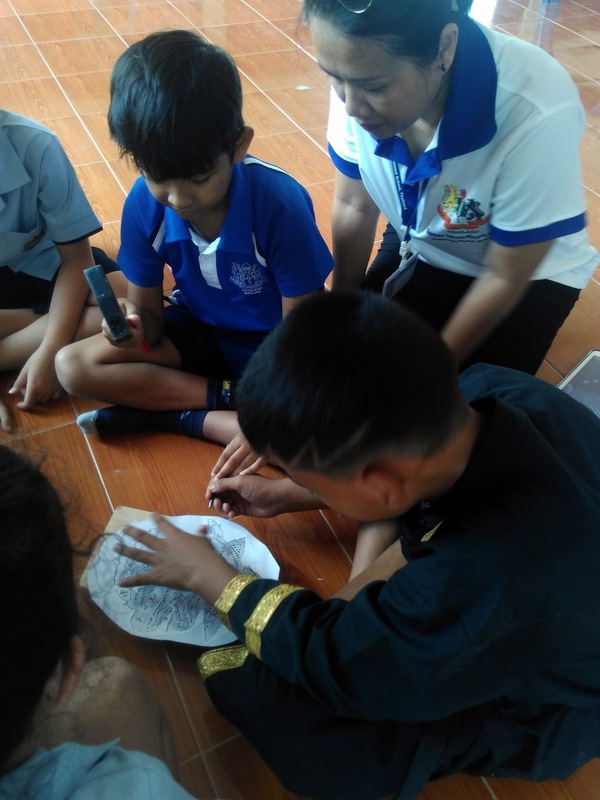 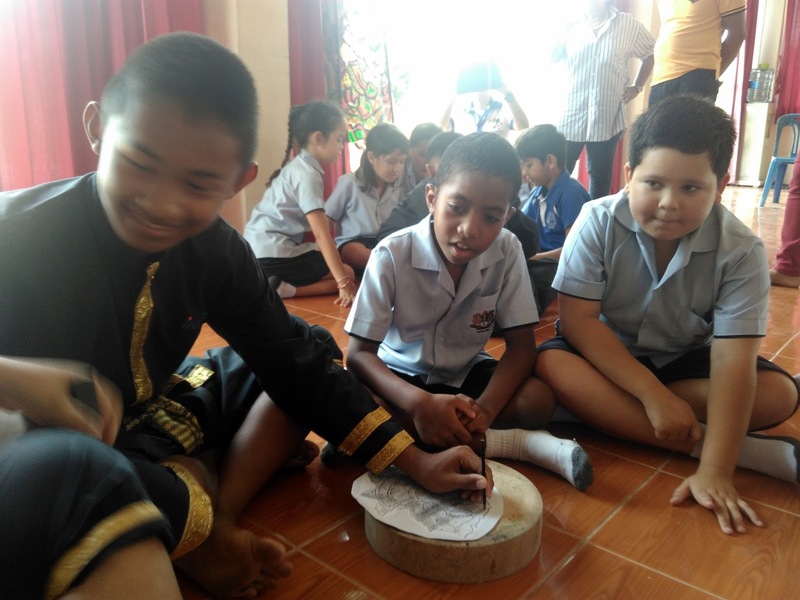 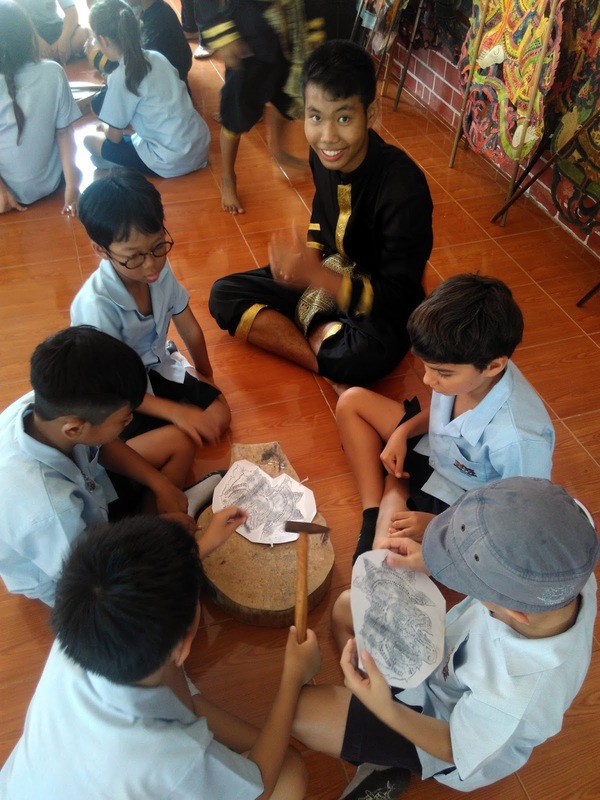 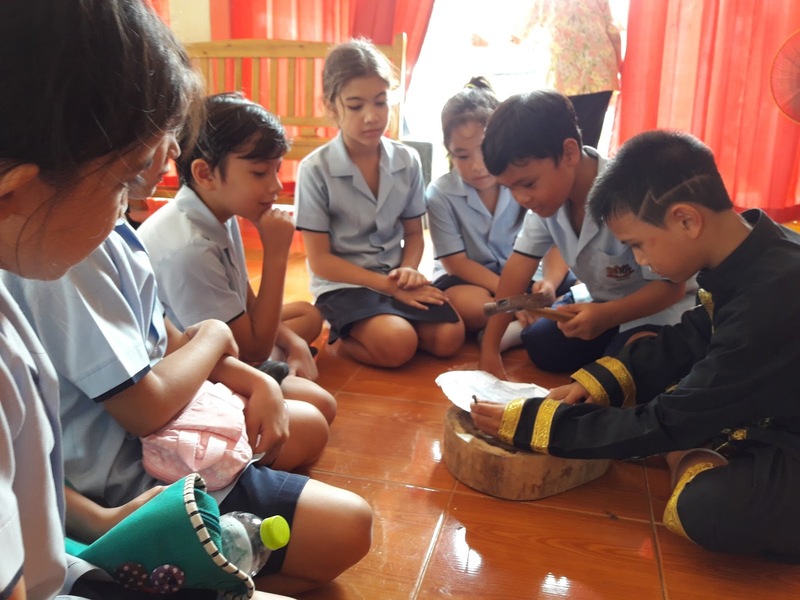 Following that we were very lucky that the puppeteers, all children, some younger than us, were able to miss a little bit of school to show us bits of their spectacular Nang Yai performance. Afterwards, they also took the time to show us how they made their own shadow puppets and even gave us a chance to try it out for ourselves. 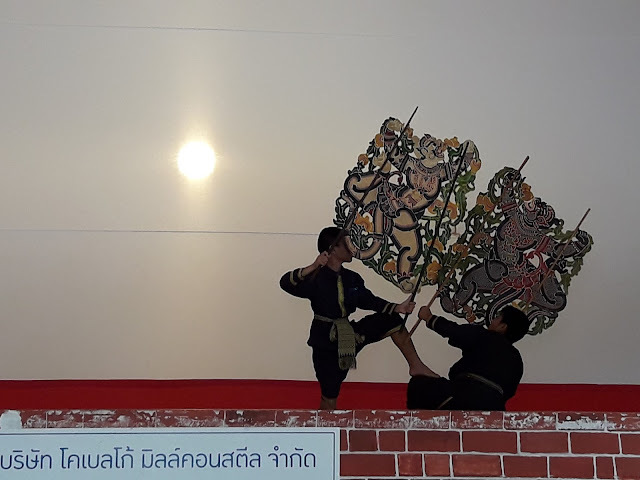 Their skill at both performing and making these works of art was inspiring. 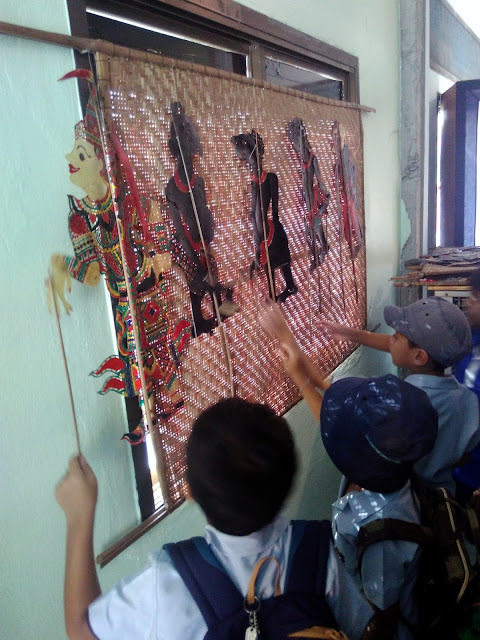 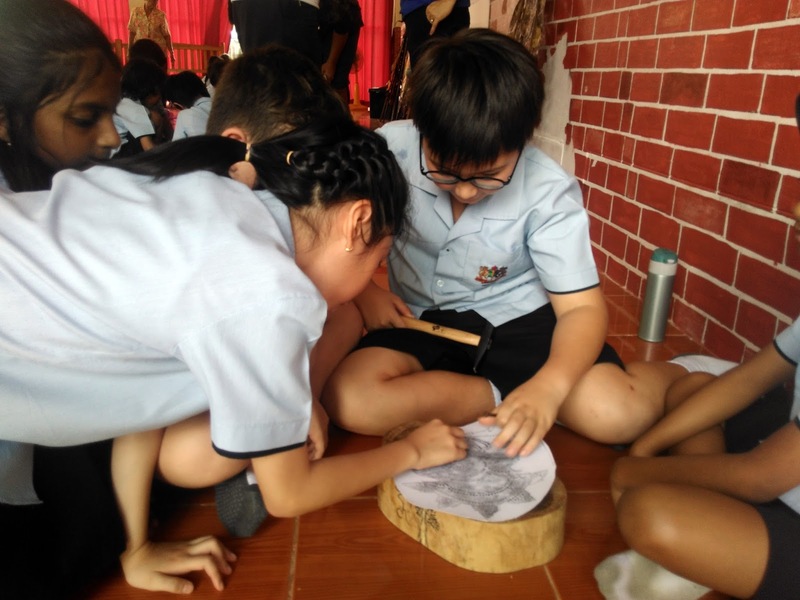 When we returned to school we wrote up a report about our trip and made our own shadow puppets and made a little show to end the school day. 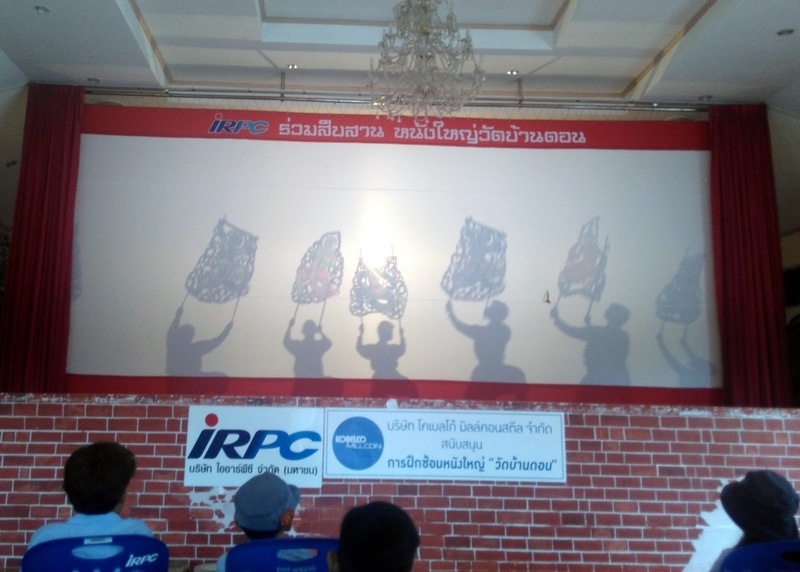 All in all, we enjoyed it very much and learned lots of things about shadow puppetry.